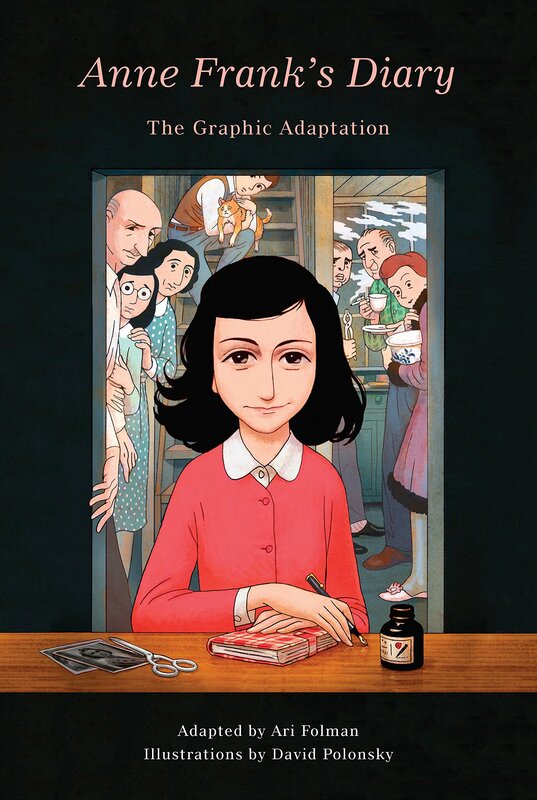 Summary: In his adaptor’s note, Ari Folman describes how he was approached by the Anne Frank Fonds (Foundation) to create an animated film for children as well as a graphic novel based on Anne’s life. He estimated that turning the entire diary into a graphic novel would have taken about ten years and resulted in 3500 pages. Instead, he took the essence of Anne’s diary, beginning shortly before she and her family went into hiding and continuing until her last entry before all the members of The Secret Annex were arrested in August 1944. Although life in the annex was extremely stressful–not only was it a matter of life and death to stay hidden, but day-to-day life was monotonous, there were plenty of squabbles among the eight people, and the food situation grew increasingly worse–Anne manages to find a great deal of humor and insight as she observes her family, the van Daans, and Albert Dussel. The afterword, as ever, is heartbreaking, as the reader learns of the tragic deaths of Anne, her mother and sister, Dussel, and the Van Daans, and of Otto Frank’s discovery and publication of her diary. 160 pages. 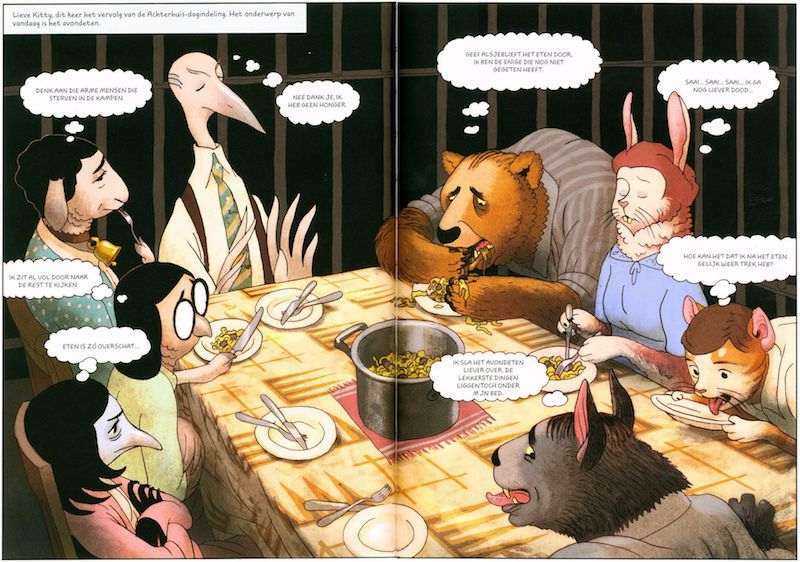 Pros: I was skeptical about how Anne’s diary would translate into a graphic novel, but both the adapter and the illustrator have done a truly amazing job. Despite the grim topic, there is a lot of levity in both the text and illustrations, and the approximately 5% of the original document that is shown here really captures Anne’s voice and spirit. Cons: It’s hard to recommend this for an age group; it really depends on individual readers. Of course, there is the whole Holocaust topic that is the backdrop for the entire book. In addition, there are more sexual references than I remembered from my original high school reading, including a detailed description by Anne of female genitalia that I was pretty surprised to have forgotten. Turns out that passage was edited out of many diary editions, including the one I previously read, but it is here, with illustrations, in this one.